Learn about Japan's subtropical Kagoshima Prefecture and the special area of Kirishima (meaning 'fog island') which produces our Ceremonial Grade Japanese Organic Matcha. Find out why Kagoshima is called 'the Naples of the Eastern World' and how Kirishima's geography makes it the perfect place for making organic matcha! 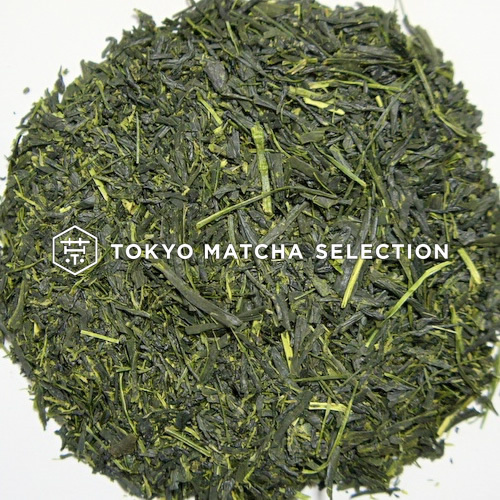 At TOKYO MATCHA SELECTION, we sell teas made by small producers from all over Japan. As you may know, virtually all Japanese tea is green rather than black (although wonderful exceptions exist). However, of this total green tea output, matcha represents only a small proportion. So where do we get our signature Ceremonial Grade Japanese Organic Matcha? The answer is Kirishima, which lies within volcanic Kagoshima Prefecture. Today, we will be treating you to a tour of this special region and its unique geographical quirks. Kagoshima Prefecture is located at the the southern tip of Kyushu, the most southwesterly of Japan's main islands. On a map of Kyushu, it is is easy to spot the huge inlet called Kagoshima Bay. In the middle of the bay, right opposite Kagoshima city, rises the constantly smoking volcano called Sakurajima. The convergence of these dramatic features have caused the historic port city of Kagoshima to be nicknamed 'the Naples of the Eastern World'. 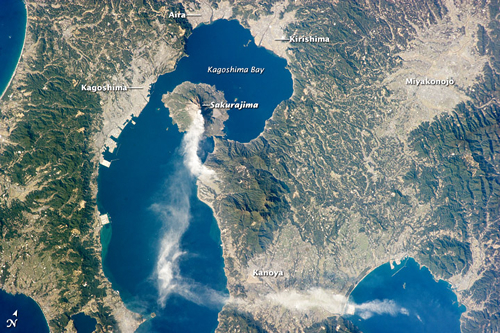 The part of the bay to the north of Sakurajima is the Aira Caldera, a basin formed by subsidence following a massive volcanic eruption 22,000 years ago. The term 'caldera', meaning 'cooking pot' in Spanish, is very appropriate here. The combination of subtropical warmth and rich volcanic earth makes Kagoshima an agricultural hotspot. Rice, sweet potatoes and giant ball-shaped daikon from the area are particularly prized. Kirishima is located on the north side of the Aida Caldera, sandwiched between the bay itself and the volcanic mountain range which separates Kagoshima from neighbouring Miyazaki Prefecture. Known for its sulfuric hot springs and national park, the Kirishima area is popular with hikers and nature-lovers. It is also home to Kirishima-jingu, a particularly large and beautiful Shinto shrine, as well as a number of misty volcanic peaks. Culinarily, Kirishima is famous for 'black vinegar' or 'kurozu', which is made entirely from rice. 'Black vinegar' is traditionally fermented and aged outdoors in special pots. Reputed to have health benefits, this complex and intriguing product has become popular all over Japan. Although Kagoshima Prefecture is in general rather hot, Kirishima's valleys benefit from relatively cool nights. This goes some way to explaining why Kirishima has gained a reputation for high quality green tea. It is thought that the diurnal temperature variation here causes an optimum amount of stress on the growing tea plants. Furthermore, the foggy mountain air for which Kirishima is renowned causes the tea leaves to compete for light, which has an umami-increasing effect. When the plants are shaded to produce gyokuro and matcha, this effect is emphasised further. Sheltered by forested slopes and located in an area dominated by organic farmland, the Kirishima tea plantations which produce our certified organic matcha are completely safe from pesticide drift. Environmentally-conscious Japanese tea lovers can therefore enjoy our Kirishima matcha with the utmost confidence. Why not compare our signature matcha with other Japanese teas?